Before the group disbanded once again, some summer festivals were put on, and a large German Christmas Market was being planned. 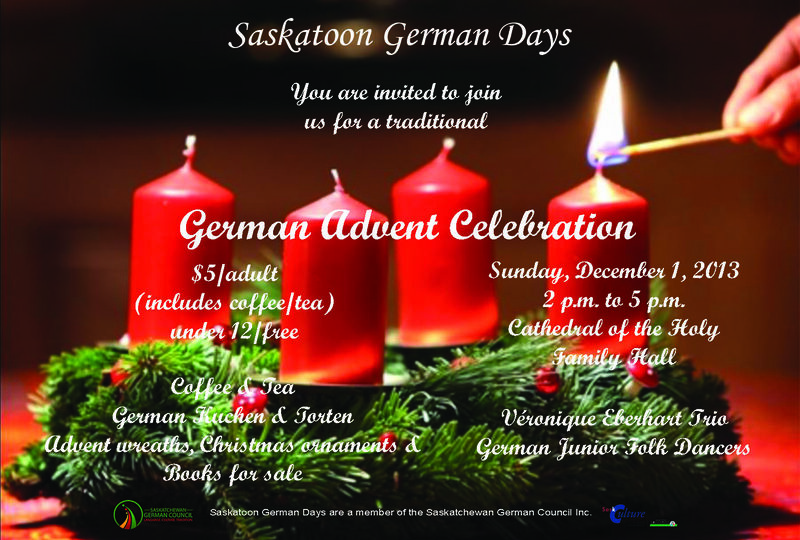 While the summer festivals went very well, with all local German groups participating, the perhaps over ambitious Christmas Market was re-organized. 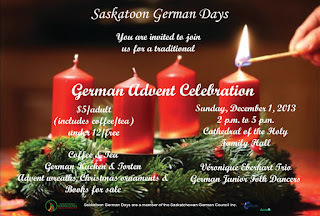 Resulting events were an afternoon Advent Celebration, now hosted by the KulturGarten group, and a continuation of the annual Lebkuchen Sale put on by the German Junior Folk Dancers. Saskatoon artist Waltraude Stehwien was commissioned to design a shopping bag and mulled wine mug, but only the very striking shopping bags were completed. If planning for the larger market resumes, the mugs will be produced as well. The motif is a typical wooden booth selling traditional wares at an outdoor German Christmas market. The design is made in a very fitting, traditional black and white scissorcut, including the trees on the sides.